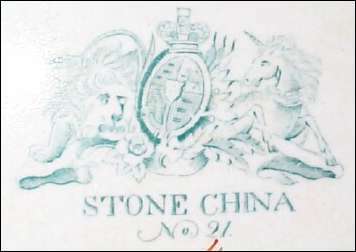 The arms have remained unchanged since 1837 when Queen Victoria came to the throne. 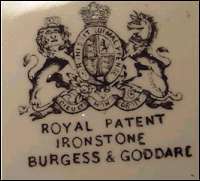 Therefore it is possible to date pre and post 1837 pottery by these differences. 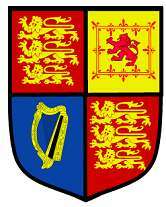 George III - From 1801 the arms of England occupied the first and fourth quarters, the arms of Scotland the second, and the arms of Ireland the third. 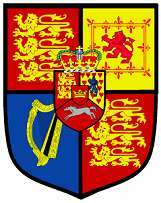 For the house of Hanover, there was an escutcheon overall (centre shield). Victoria and all subsequent monarchs- In 1837, the Hanoverian escutcheon and crown were removed because Queen Victoria, as a woman, was unable to succeed to the throne of Hanover under Hanoverian law. The arms have remained unchanged since then.